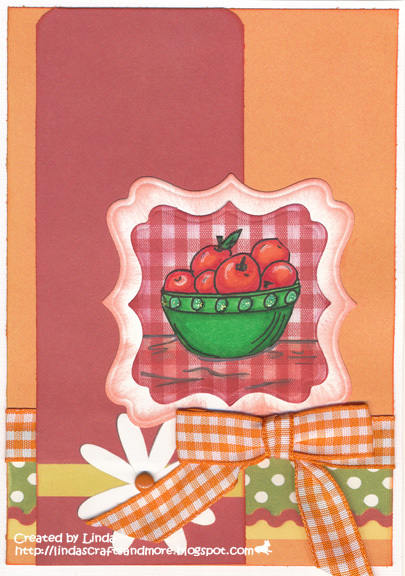 Here is my card useing an image by Glitterbabes colored with Copic Ciao. LOVE all the gingham Linda! Great job! Thanks for joining our progressive challenge fun at CDAC! Round #4 is right around the corner ... see you there!! Very pretty card! Love all the rich Fall colors!